If you’ve already hired professional vendors for your wedding, you know that some are easier to gauge than others. Photographers? Well, you should make sure you like their personalities as much as their portfolios, but you can generally get a pretty clear understanding of what the finished product will look like just from their websites alone. Officiants? It’s a little harder to tell if they’ll be great or if they’ll turn into that scene from The Princess Bride, unless you actually, you know, see them perform a ceremony. Wedding planners and coordinators fall somewhere in the middle, because the job is both visual and logistical. And logistics are hard to showcase on a website. Not everyone has it in the budget or desire for a planner or coordinator (for that, see how to stage-manage your wedding), but if you do you, they can make your wedding smoother and more organized, and in some cases, even save you money. But that doesn’t mean all coordinators and planners are created equally, or that everyone is going to understand and value what you’re trying to do with your wedding. As with any other person you’re hiring to play a key role in your wedding, it’s important that you do some research before you sign a check. Before you get to the part where you sit down and talk with a prospective planner or coordinator, do your due diligence. Check their website and online reviews, get a feel for who they are and what they do. What is their general philosophy about weddings? Most planning professionals make their basic philosophies pretty clear on their websites. If the company’s main focus is creating elaborate floral displays, or renting you the very hippest chairs, that will be obvious. 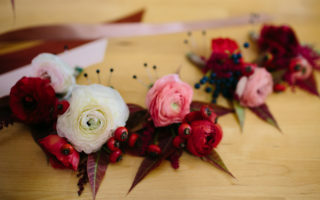 If they take on weddings in a variety of prices points and styles, that will also be clear. If you can’t find someone whose philosophy fits yours locally, remember that most planners love to travel, and will often do so at pretty affordable rates. Do they have a minimum budget that they work with? There are plenty of high-end planners that won’t touch a wedding that costs less than, say, $40,000. You should be looking for a planner that fits your budget goals, not working to make your budget fit your planner. What types of venues do they work in? Coordinating a wedding in the local four-star hotel, and coordinating a wedding on a semi-remote campsite are very different jobs. You want to hire someone with some experience working in venues that are similar to yours. Do they do design? (Do you care?) Some planners are also design professionals, or work closely with a team of people whose job it is to make your wedding look stunning. Some are just logistical pros (who often can recommend independent wedding designers, if that’s something you care about). It’s important to know if your planner is going to be pushing for a visual look, or just helping you stay organized. How do they deal with difficult family members? If you know you’re going to need help with your controlling mother-in-law or your emotionally manipulative dad, check in with anyone you hire about what their approach is for dealing with family issues. You want to make sure that their style will fit your family. 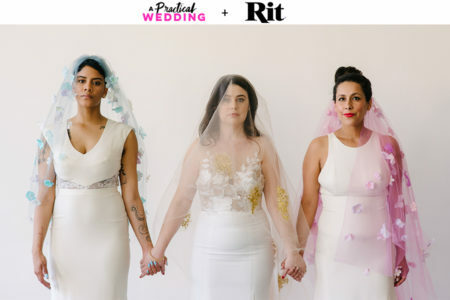 Do all their weddings look the same (and have exactly the same vendor list)? Lot’s of planners specialize in a particular type of wedding, that they put together over and over again, with a similar team. If you want a variation of that ballroom wedding or art gallery cocktail party that a planner always throws—then by all means hire them. But if you’re looking to create something different, make sure you hire a planner who can accommodate your vision, instead of just pushing for their own. If, after meeting with them and running through your questions, you decide they’re a good fit, ask for references from recent clients. Review sites and testimonials pages are helpful in narrowing down your options, but most couples will never leave a negative review about someone who worked on their wedding, unless that person royally messed up. A quick call or email with a recent client will give you a more nuanced understanding of what it’s like to work with the vendor. Are they reliable and punctual, but maybe their bedside manner could use some work? Are they super creative and great with guests, but a little less organized than you’d like? Find out, and decide if you can live with that reality before you book them. Did you hire a planner or DOC for your wedding? What questions were make or break for you? What do you wish you’d asked?